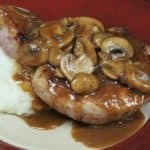 In this recipe, thick pork chops are fried until they are beautifully golden then covered with a luxurious mushroom sauce. This meal is really easy to make, yet is elegant enough for a special occasion. 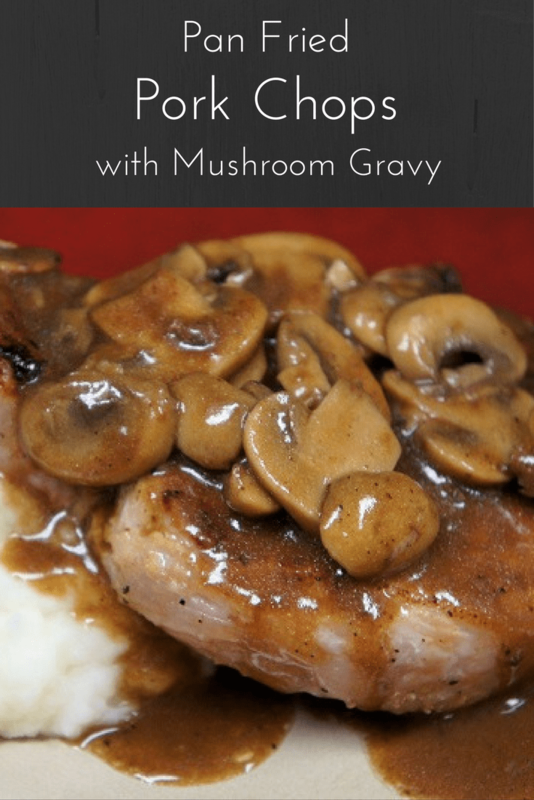 Serve the mushroom smothered pork chops with fluffy mashed potatoes, rice or steamed veggies for a delicious meal. If you can’t get enough mushroom gravy, give this pork schnitzel & mushroom gravy or recipe, or this chicken & mushrooms a try. Enjoy! 4 Thick Pork Chops, about 2 lbs. Add the salt, garlic powder, onion powder and black pepper to a small bowl. Mix the seasonings to combine well. Season the pork chops on both sides with the prepared seasoning mix. Slice the mushrooms; don’t slice them too thin so that they hold up during cooking. Heat the oil in a large deep skillet over medium-high heat. When the oil is hot – but not smoking, add the pork chops. Cook the chops for 5 minutes, per side until they are golden and the internal temperature is at least 140°F at its thickest part. Remove the skillet from the heat and lower the temperature to medium-low. Place the pork chops on a plate and keep them warm by tenting the plate with some aluminum foil, and/or place the plate in the microwave. They stay nice and warm in an enclosed space away from drafts. Do not wash the skillet. Place the skillet back over medium-low heat and add the butter. When the butter is melted and foamy add the mushrooms. Cook the mushrooms gently for 3 minutes or so, stirring frequently. Add the flour to the mushrooms, stir to combine well and cook for 1-2 minutes, stirring frequently. Raise the heat to medium and add the chicken broth, scrapping the bottom of the skillet gently as you stir. When the sauce starts simmering, lower the heat to low. Cover the skillet and continue cooking the mushrooms at a gentle simmer for 5-7 minutes, stirring occasionally. Taste the mushroom sauce and add salt and pepper to taste, if needed. 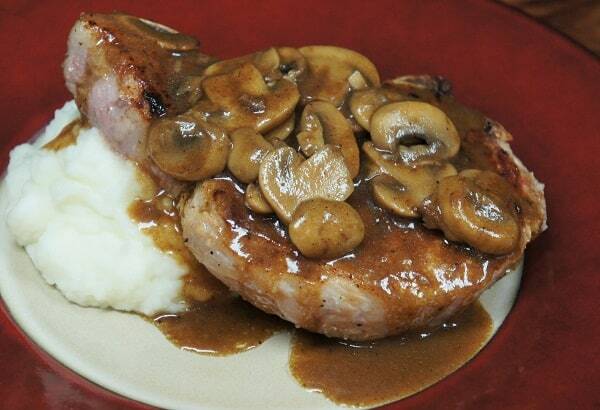 Serve the pork chops with a generous amount of the mushroom sauce on top. Thick pork chops are fried until they are beautifully golden then covered with a luxurious mushroom sauce. This meal is really easy to make, yet is elegant enough for a special occasion. Add the salt, garlic powder, onion powder and black pepper to a small bowl. Mix the seasonings to combine well. Season the pork chops on both sides with the prepared seasoning mix. Remove the skillet from the heat and lower the temperature to medium-low. Place the pork chops on a plate and keep them warm. Place the skillet back over medium-low heat and add the butter. When the butter is melted and foamy add the mushrooms. Cook the mushrooms gently for 3 minutes or so, stirring frequently. Add the flour to the mushrooms, stir to combine well and cook for 1-2 minutes, stirring frequently. Raise the heat to medium and add the chicken broth, scrapping the bottom of the skillet gently as you stir. When the sauce starts simmering, lower the heat to low, cover and continue cooking the mushrooms at a gentle simmer for 5-7 minutes, stirring occasionally. The nutritional information above is computer generated and is only an estimate. There is no guarantee that it is accurate.This data is provided as a courtesy for informational purposes only. 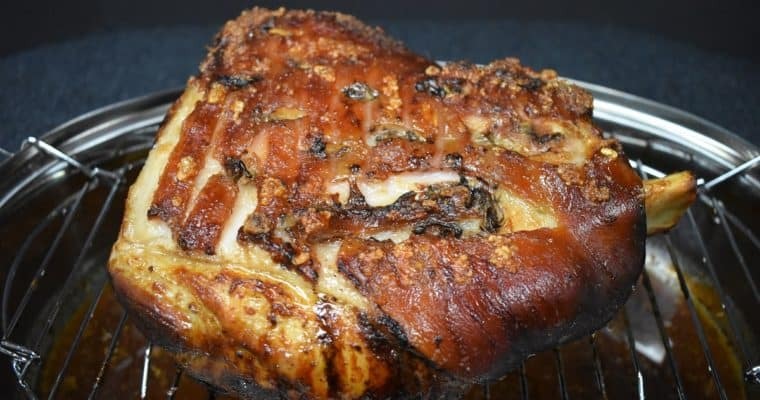 In Cuban Culture, roast pork (lechon asado) is the meal served on all special occasions. Christmas, Weddings, New Year’s… roast pork is on the menu. This is a traditional recipe using a homemade mojo marinade. Roast pork is a two-day event. The pork needs to marinate in the refrigerator overnight. Then you roast it, low and slow for hours. 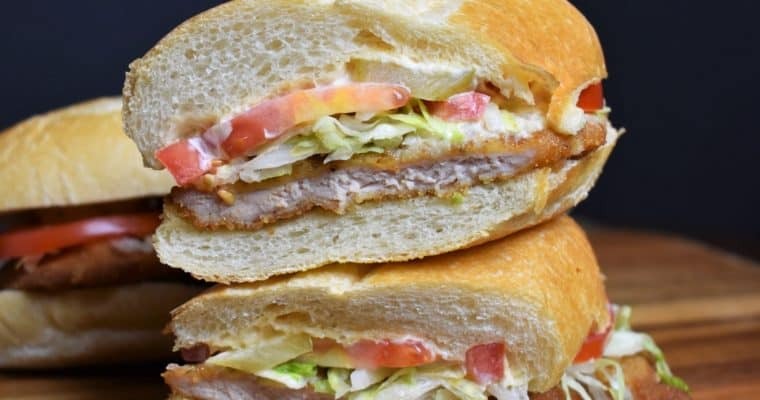 In this fried pork sandwich, thin pork loin chops are simply seasoned, breaded and fried until golden on the outside and juicy on the inside. Then they’re served on a large roll with a spicy mayo, lettuce, tomatoes, and pickles.